What if you were one of the last speakers of your language? Though it seems improbable, almost one half of the world’s 7000 languages are endangered – many have fewer than 25 living speakers. If nothing is done, these languages will die in this century, taking with them thousands of years of unique history, memory, culture and thought. 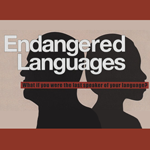 Visit the Endangered Languages Exhibit in the lobby of the Oviatt Library to learn more about this linguistic crisis. 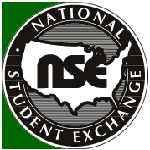 Students interested in expanding their horizons by studying in another country or at another school in the United States have a fantastic opportunity to do so through CSUN. We invite you to learn about the affordability of the programs, look at photos from students that have already been and find out more about how you can be a part of this life changing experience. Piece together your World and visit the library today! 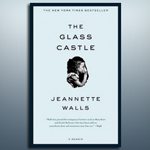 The Glass Castle, by Jeannette Walls, is an intense memoir in which the author recounts her at times astonishing and difficult childhood. As this year’s selection for the Freshman Common Reading Program, it will challenge students to look at themes like poverty, childhood, parenting and alcoholism. The Oviatt Library’s exhibit, in conjunction with the book, highlights the University Counseling Center, and its connection to the book, memoirs on similar topics and the Common Reading Program itself. 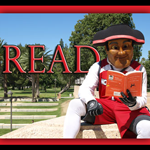 Finally, because one goal of the Common Reading Program is to promote a lifelong love of reading, the exhibit looks at the evolution and future of reading and what some of the Oviatt Faculty and Staff are reading now! Find out more about the Common Reading Program. Curated by students enrolled in the CSUN Department of Anthropology’s Spring 2011 Museum Anthropology course, this exhibition highlights artworks donated to the Oviatt Library Special Collections by CSUN Emeritus Professor of Art Dolores M. Yonker (1926 – 2008). 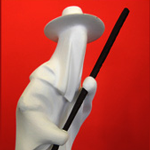 An art historian, artist and hounsi kanzo, or Vodou initiate, who traveled frequently to Haiti, Yonker not only assembled a fine collection of Haitian art but also created a striking series of pen and ink vignettes of life in that county. 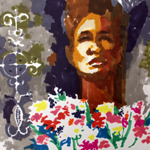 Her captivating drawings and vivid, first-person journal accounts well illustrate her abiding respect and appreciation for this widely misunderstood nation and offer a unique opportunity for viewers to see Haiti as she did. 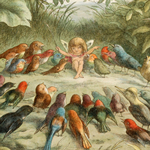 For this exhibition, marking the thirty-seventh anniversary of the Library’s Special Collections, we have searched the vault for those one-of-a-kind pieces that have never or seldom been on display. Here is your chance to see unique books, letters, costumes, maps, sculptures, paintings, engravings and manuscripts. In this exhibition, we are highlighting the work of Richard Fish (1919-2005), an accomplished photographer whose archive has been donated to the Oviatt Library by Marie Fish, his widow. 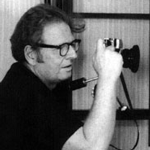 Fish was a prolific contributor of photographs and articles to such publications as the Los Angeles Times, Sunset magazine, House and Garden, the Chicago Sun-times Magazine, TV Guide and many others. Mark Haddon’s The Curious Incident of the Dog in the Night-Time offers a young autistic boy’s unique perspective on everyday life as he tackles a canine murder mystery in suburban London. This exhibit examines autism and showcases individuals who have successfully overcome personal challenges with their extraordinary abilities. It also provides a context for protagonist Christopher’s adventures in and around London. 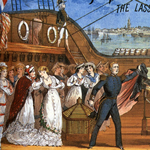 Gilbert and Sullivan operas have been enjoyed by countless theater goers since they were first performed over 100 years ago. Their characters and music continue on in our culture in many ways. Come join us and be entranced by the David Trutt Gilbert and Sullivan Collection with its Peter Goffin posters, music scores, Bab Ballad books, theater programs, advertising cards, and other ephemera produced for fans of W.S. Gilbert and Arthur Sullivan. Curated by Tony Gardner. 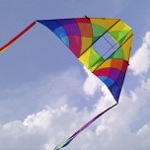 Come explore the fascinating history and artistry of kites. Experience the feeling of flight with a riot of vibrant and colorful kites hung from the ceiling of the Oviatt Library’s Lobby.